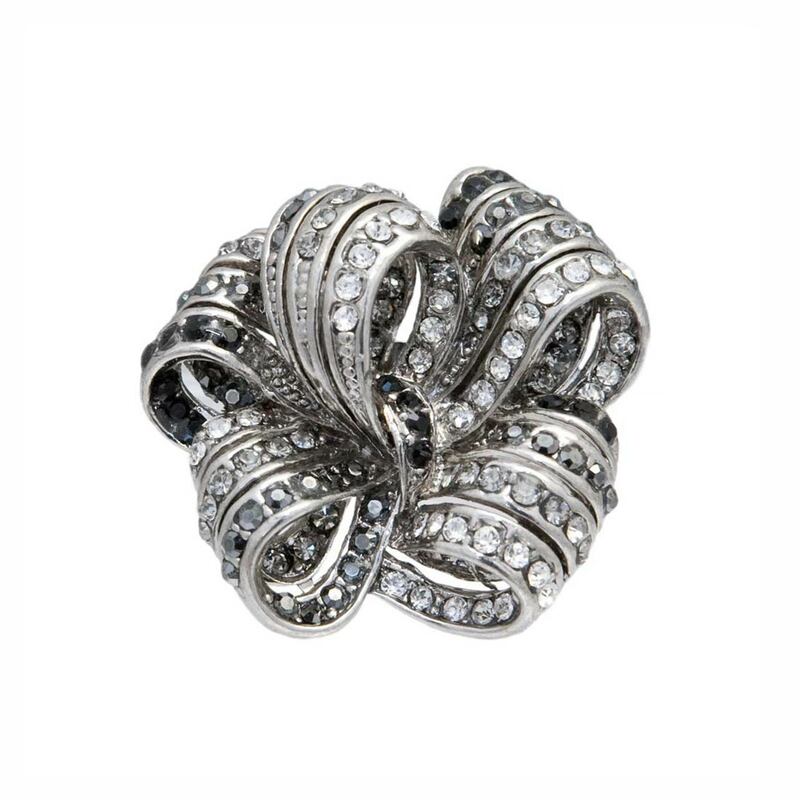 A stunning vintage cocktail ring full of the drama and glamour of bygone eras. Bold and oversized, this dramatic antique style cocktail ring is just fabulous. Featuring an antique silver tone ribbon style multi bow design adorned with clear, smoky and jet Austrian crystals, it's perfect for this seasons bold gem trend yet combines timeless style ensuring it's a piece to wear season after season. Taking inspiration from the oversized vintage costume rings from the roaring Twenties with a touch of the sheer glamour of the jewels worn by the Hollywood Starlet's from the 1940's, this looks divine teamed with a pair of chandelier earrings for statement style.